Home Blog Uncategorized ARM mbed launches Hexiwear promotion: win an Oculus Rift! ARM mbed launches Hexiwear promotion: win an Oculus Rift! 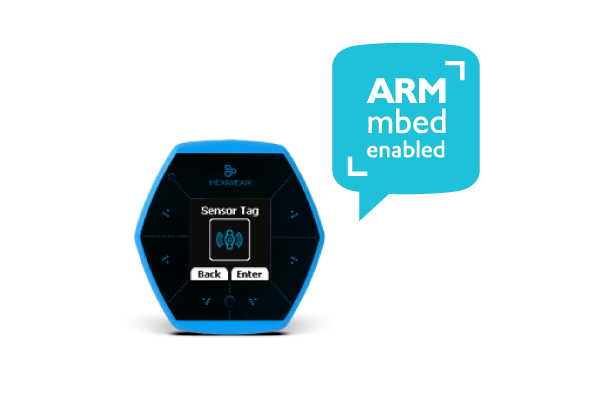 ARM mbed is now compatible with Hexiwear. To let the world know about it, they joined up with the ‘Hexiwear: The Do-Anything Device!’ contest on Hackster.io. Come up with the best use of ARM mbed for Hexiwear and win an Oculus Rift (valued at $600). The contest has already begun. You have until September 30 to get your entry! To help beginners, an introductory webinar called “Getting started with your Hexiwear application development using mbed OS 5” will be held at Wednesday August 25 at 11 AM (4 PM GMT). Register here to participate (it’s free). Learn all the details at the Hexiwear contest page.